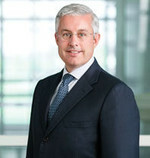 Mr. Renaud is Managing Director of Church Advisors, a European investment advisory firm involved in private financings. 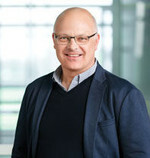 A graduate of Franklin College of Switzerland with a Bachelor of Arts in international financial management, Mr. Renaud has been instrumental in securing many private equity financings and has an extensive European and North American network. He is a director of a number of publicly traded companies including Yorbeau Resources Inc., Diagnos Inc., Sierra Metals Inc., and is on the advisory board of Dundee Sarea. Mr. Mark Nawacki is the president and CEO of Searchlight Pharma. Prior to this, Mr. Nawacki served as Executive Vice President, Business and Corporate Development of Paladin Labs, a leading Canadian specialty pharmaceutical company, from 2003 - 2014. 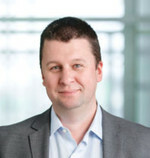 Mr. Nawacki holds a BA in International Relations and Russian and East European Studies from the University of Toronto (Trinity), MBA also from the University of Toronto, and is a Canadian-designated CPA. He is a past member of the Board of Trustees of the Licensing Executive Society (USA & Canada) and is a former President and Board Member of the Canadian Healthcare Licensing Association. He also currently sits on the Board of the Montreal Bach Festival and The Sacred Heart School of Montreal. Mr. Edwards is the founder and President of VetRx, a Montreal-based technology company specializing in data collection, cleansing, marketing and pharmaceutical compliance for the veterinary industry. Mr. Edwards holds a Bachelor's degree (Finance) from l'Université de Sherbrooke and an MBA from Concordia University. 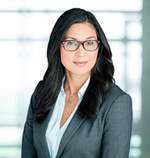 Ms. Gluck currently serves as Senior Vice President of Global Clinical Operations at Aurinia Pharmaceuticals Inc. since February 2018 and has also served as its Vice President of Clinical Operations since January 1, 2016. She previously served as Vice President of Clinical Operations at Qu Biologics Inc., where she led the clinical development of their platform immunotherapeutic treatments. Prior to that, Ms. Gluck served as Vice President and Head of Global Clinical Operations at Vifor Pharmaceuticals, based in Zurich Switzerland post acquisition of Aspreva Pharmaceuticals where she was Vice President of Clinical Operations. In her career, Ms. Gluck served in increasingly senior positions at major pharmaceutical companies including Novartis, Organon, and GSK. Ms. Gluck holds a B.Sc. in Nursing from the University of British Columbia.